The smallest hero of the Marvel Universe is now Comic-Con's coolest exclusive - and he's almost actual size! 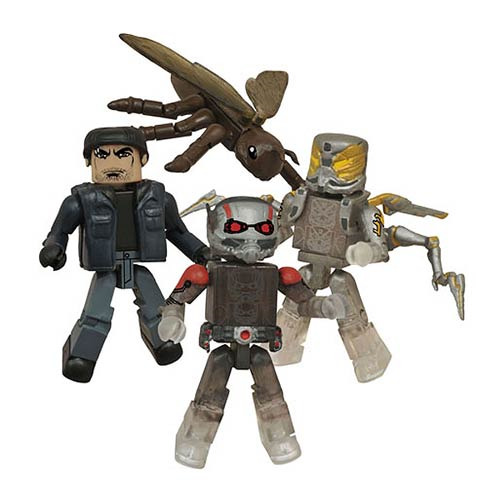 This Marvel Ant-Man Minimates Box Set - San Diego Comic-Con 2015 Exclusive features 4 figures based on Marvel's Ant-Man, including Shrinking Ant-Man, Shrinking Yellowjacket, civilian Scott Lang and Ant-Thony the Ant! Each 2-inch tall Minimates mini-figure features 14 points of articulation as well as interchangeable parts and accessories! Limited edition of only 3,000 pieces! Ages 8 and up.